A scientific journal caved in to pressure from evolutionists and retracted an article about the human hand that mentions “the Creator” three times. 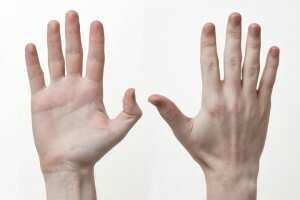 On January 5, the journal “PLOS ONE” published a peer-reviewed article titled “Biomechanical Characteristics of Hand Coordination in Grasping Activities of Daily Living.” The article, which was written by a team of Chinese and American scientists, explores the complex design and coordinated movements of the human hand. “The explicit functional link indicates that the biomechanical characteristic of tendinous connective architecture between muscles and articulations is the proper design by the Creator to perform a multitude of daily tasks in a comfortable way,” the scientists wrote in their paper’s abstract. The scientists made one final mention to the Creator in their paper’s final paragraph. “In conclusion, our study can improve the understanding of the human hand and confirm that the mechanical architecture is the proper design by the Creator for dexterous performance of numerous functions following the evolutionary remodeling of the ancestral hand for millions of years,” they stated. Although the paper was published in early January, it wasn’t until last week that evolutionists noticed the references to the Creator and publicly called for the paper’s retraction. Others referred to “PLOS ONE” as an “absolute joke of a journal” for publishing the paper. In response, the journal blamed inadequate peer review for the controversial Creator references, apologized for the “errors” in the paper, and officially retracted the article on Friday.